More than half of the nation’s children with Autism are overweight. Being overweight can cause numerous problems such as: bone and joint issues as well as cardiovascular disease and diabetes. This has influenced Suzanne M. Gray, a fitness expert, to create exercise programs for individuals with Autism. Gray is the CEO of Right Fit Sport and Wellness Center in Willowbrook, IL, and has been creating fitness programs and working with individuals who have special needs for more than 30 years. She has seen how exercise improves an individuals’ motor skills, muscle tone, and socialization skills. Exercise is also beneficial in eliminating self-destructive and self- stimulating behaviors in children with Autism. 1. Around the Block. Create a neighborhood path for children to follow and have your child run this path a designated number of times per day. He/she could wear a pedometer to measure steps and calories and track progress. 2. Raise the Bar! You’re a Star! Start with a dowel rod and raise it over head and back down. Eventually this can be substituted for weight bars. 3. Chair Squats. This movement is required for most power moves of the lower extremities and most athletic events. 4. Push-ups. If your child is able, have them do a designated number of push- ups every day. 5. Jumping Jacks. Again, depending on where children are on the spectrum, will make a difference in how many they can do. Chart all progress on a chart and keep track of repetition and loads. Offer incentives as motivators such as stickers or a fat-free dessert. 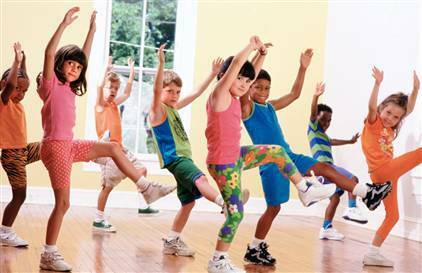 Kids with Autism benefit greatly from exercise. A structured routine is essential to see results. Another fitness tip is to combine music and play with exercise because it enhances the child’s sensory response while boosting independence, happiness, and self-esteem. “The biggest benefit”, says Gray “is weight loss”. For more information on fitness for individuals with Autism and to learn more about Suzanne Gray log on to http://www.right-fit.com/. What Can We Do to Promote Autism Acceptance? there will still be held somewhat responsible.